‘Just after the war, when I was 18, I began work at Rheems, but my real desire was to work on boats, so I obtained a Launchmaster’s Licence, and managed to get permission to leave Rheems. It seems strange these days to have to seek permission to leave a job, but it was just after WWII and manpower was extremely short, especially in essential industries. ‘I’m a river rat from Bulimba. We were Reliance River Rangers and we sailed out of Watt’s boat building business next to the Apollo Ferry. We sailed in the sailing season and rescued little boys in the overturned moths. We had an old English-style sailing boat, clinker hulled, sixteen feet (4.8 metres) – a scream of a boat. We used to sail down to Bishop Island and back in it. 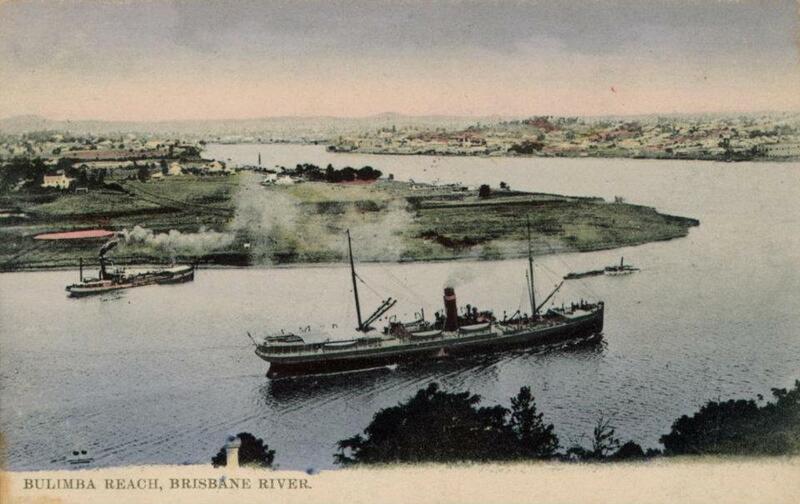 ‘In the 1950s the Brisbane River was a wonderful river! We knew when the blue and black funnel ships came in that we’d get rain, and sure enough it would bucket down! Even the teachers would look out when it was raining and see the blue and black funnels moored across the river. 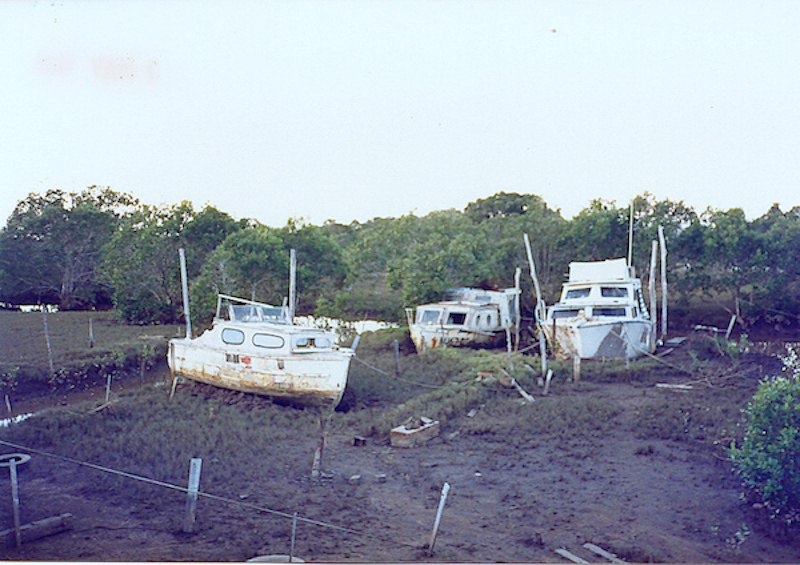 ‘Flying boats used to land at what we called the old hockey fields. ‘For a kid coming from the coal mines at Ipswich, the river was a fascinating scene. All the ships coming in and turning. I remember the Himalaya – a large ship – turning in the river, and it just made it around in the limited space for a ship of its size. 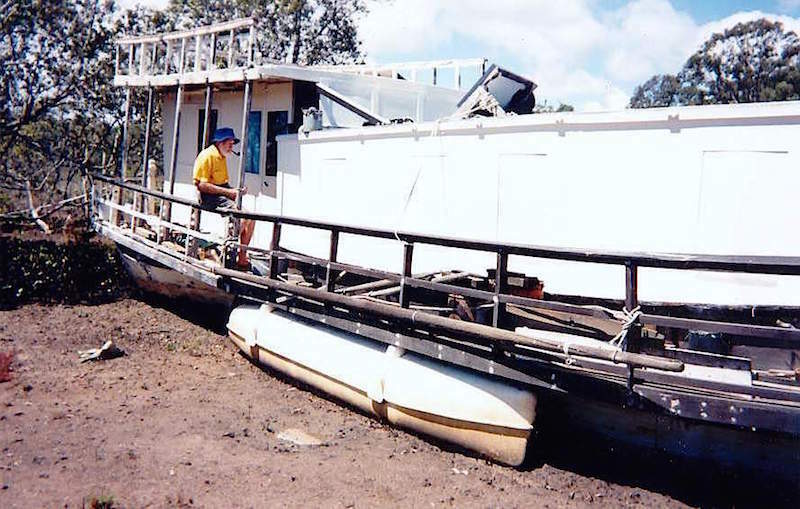 ‘I grew up at Bulimba and was apprenticed as a boat builder at Milkraft in 1958. It was just about all timber boatbuilding then. We built a lot of fishing boats after World War II as there was a bountiful supply of prawns and fish. ‘I’ve always thought tugboats were the coolest looking boats. 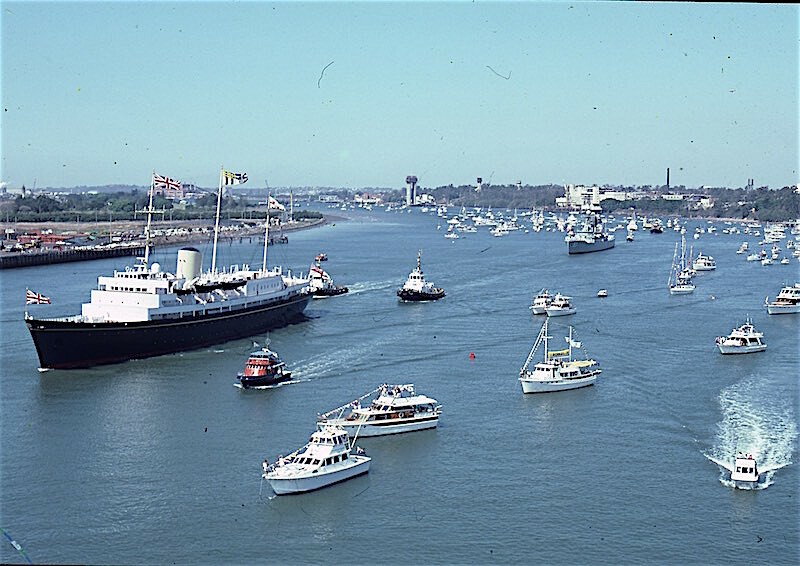 I really loved them because when they got a job they’d have to steam down from the Customs House and pick up the ship at the mouth of the river and bring it back up and were always making good way coming down the river. ‘When me and my buddies saw one coming down the Hawthorne Reach, we’d paddle our surfboards like crazy out onto the mud flat at Bulimba Point. As the tug came round the corner the stern wave would hit the mudbank, and because the tug was turning the corner it would tighten the wave up even more and we used to get waves up to three feet high. There would be three or four of them come off the stern of these tugs because of the amount of draught that they had. The first waves I ever rode as a surfer were at Bulimba Point! That was how I satisfied my surfing lust when I wasn’t at the beach. ‘The other sad thing that’s missing now from the Brisbane River is the sailing. When everyone was coming home with spinnakers up, the Brisbane River was just fantastic. In the winter they played footy; in the summer, if they weren’t playing cricket they went sailing. Of course, the guys that had a bit of money had boats, but a lot were built under people’s houses. It was the workingman’s sport and there was a huge following, with spectator boats taking people out to watch it. ‘Although both my wife, Joan, and I were born in Toowoomba, we purchased a general store and news agency in Bulimba soon after our marriage. The store, Balmoral News, was initially situated at the old tram terminus, which is now the roundabout on the corner of Bulimba and Oxford Streets. ‘When we opened for business on 8 November 1959, there was no sealed footpath outside, and entering the shop required a high step up from the dirt pavement. To make entrance easier for our customers we quickly had a wooden platform build at the entrance. Soon after opening we discontinued the grocery side of the business, and expanded the newsagency side to include a Golden Casket agency, as well as selling stationery, books, and greeting cards. In those days, there used to be three caskets drawn per week, and our shop was allotted four books each of twenty tickets to sell. Each ticket sold for about $1. In our first year of operations the shop sold one first prize of $30,000 as well as numerous other prizes. ‘Being at the tram terminus, we had a lot of trammies with headaches coming in to the shop to buy a packet of Bex or a Vincents to take with an Indian Tonic or a Coke. ‘When the Japanese invaded China during Word War II, many Chinese escaped from China and Hong Kong, with the assistance of the Americans, I would say. Several hundred of them arrived in Brisbane and the Americans set up a camp for them at Colmslie, where they worked for the American engineers. The Americans were building big barges– refrigeration barges, oil barges, and crane barges. The construction site was set up by the Allied Works Council, who was working under contract to the Americans. The Americans employed the Chinese and a lot of Australians. I worked for them for a while. ‘The Chinese were part of the workforce that built the bow of the wrecked Rufus King, which they towed away to New Guinea. 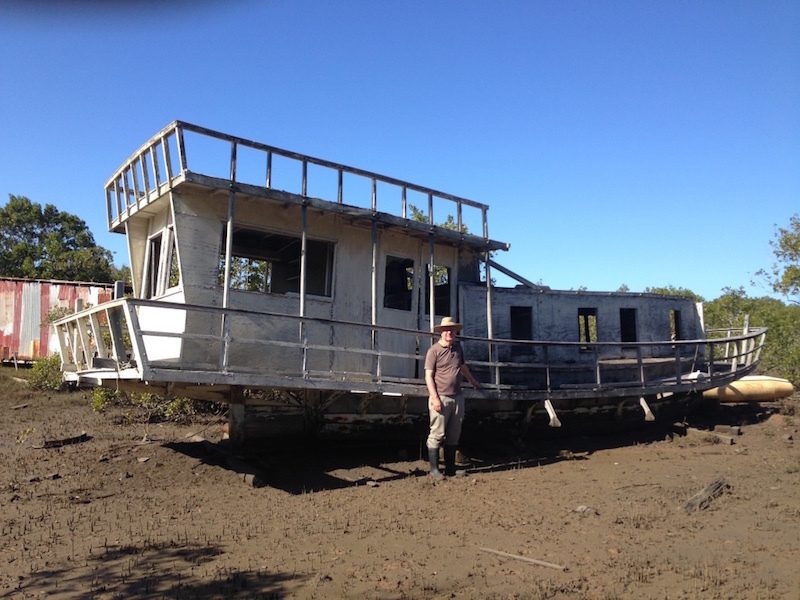 Before they could tow it up the river, they had to put a bulkhead in her and seal it.